This particular loss was created by a slab leak that was located above the aggregate and within the slab. The flooring was not removed in this area during the mitigation phase. Thus, it needed to be removed during the repair phase. The flooring was a challenge to remove, and the glue residue required diamond grinding prior to installing the glue down engineered flooring. 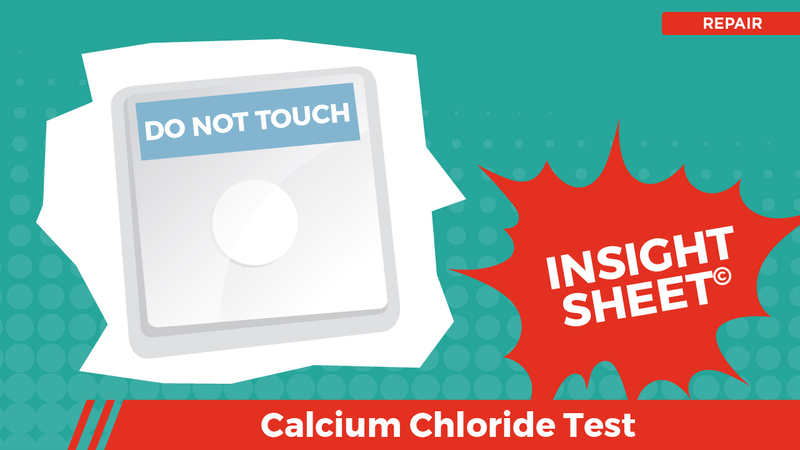 Before the flooring could be installed, calcium chloride tests needed to be performed to confirm the level of moisture being omitted from the slab is emitting. 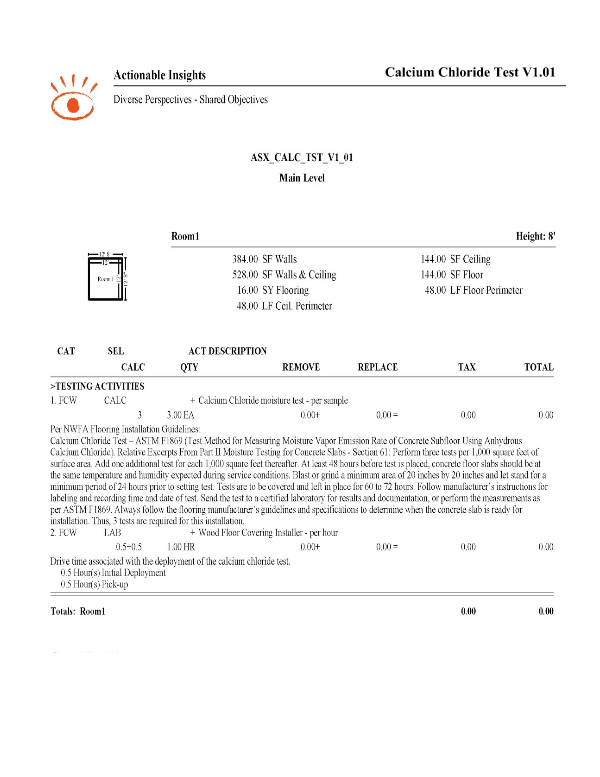 This Insight Sheet(C) exists to clarify how one might invoice for a calcium chloride test. This does not seek to include or make concessions for all equipment and/or activities as it relates to a loss of this nature.